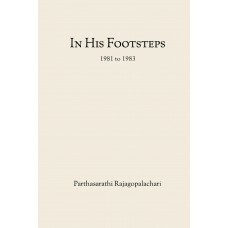 This volume covers a the period of 1981 to 19th April 1983 - the day of his beloved Guruji's mahasamadhi - it documents a pivotal and very critical period in the history of Shri Ram Chandra Mission and in Chariji's own life. This volume relates his extensive travels in India to meet abhyasis in different centers. It also describes his tours with Babuji to Malaysia and Paris.